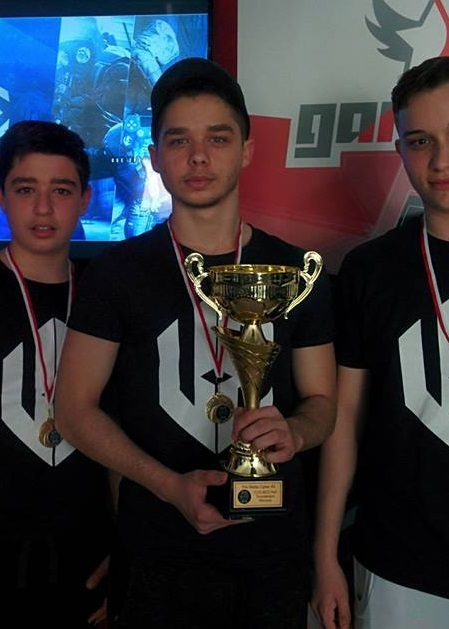 Rueben "Randu" Grech has always been on our radar as an example of a Maltese gamer who took his passion to the next level. Constantly on the grind and working hard for his achievements, he's growing steadily as a force to be reckoned with in the international Call of Duty scene. Finally, we've had the chance to interview him as a follow-up to the article we published a few days ago regarding his recent performance. Enjoy! 1.) We'll start with a small introduction. Describe your career as a Call of Duty player locally and internationally. I have competed with Maltese players for the majority of my career and attended two local LANs hosted by Gamers.com.mt and won them both. During Infinite Warfare, I was offered a contract from a foreign team to sign with them for the rest of Infinite Warfare’s season. That meant that I had to leave my Maltese team and play with a foreign team for the first time. 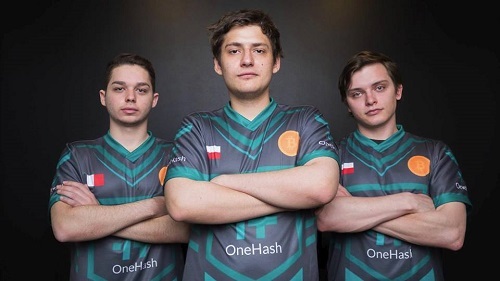 It was a very hard decision to make because I was very close to my Maltese team and had an amazing Maltese organization, which was Ephica Esports at that time. Since my Maltese team wasn’t over 18, I decided to take this opportunity to attend two Major events. CWL Sheffield $25,000 and CWL Birmingham $50,000. This year, the system is very different because it's based heavily on CWL National Circuits, which are online for the European scene. 2.) The past three years have been saturated with futuristic "jet-pack" entries into the franchise with enhanced movement. What was your experience in these versions of Call of Duty and how do they compare to COD: WWII? Do you think we need to get back on the ground? Call of Duty desperately needed to get back on the ground because the CoD community prefers boots on the ground. Personally, I also prefer boots on the ground as it's simpler and allows for more intelligent plays. At the moment, my best experience is on Infinite Warfare which is a jetpack game but I feel more confident on WWII then Infinite Warfare. 3.) As of right now, Rueben finds himself in the middle of an Italian National League with his new team, Trifecta. How highly do you rate your teams and its dynamic? Until now, how is the league going and what are your expectations? I managed to qualify for the Italian National League which was very hard to do so because I was one of the few players who got picked from many other players in Europe. We are a pretty good team when all of us are playing at our best, our expectation is to make top 4 to qualify for playoffs. We are currently sitting at 1W/2L and placed 6th place in the league, which is not as bad as it seems as we lost to two of the top teams in the league. We are still in the chance to qualify for playoffs. 4.) Speaking of Trifecta, earlier in the year you had signed with Project Eversio's line-up only to leave shortly after. For those who aren't reading your Twitter, what wasn't working on the squad to lead to a quick exit? I was teaming with 'Zwa', 'Dexx' and 'Vision'. We were a great team with high potential but unfortunately, we weren’t playing enough as a team due to work/ school schedules and I didn’t feel they were dedicated enough. Project Eversio is a very good organisation; it's a shame we had to part ways so quickly. 5.) Competing and winning the Stage 2 CWL National League of Italy gives Rueben the opportunity to play for $200,00 at Majors, such as the upcoming CWL Seattle event. What are your prospects and goals for the year of Call of Duty to come? My main goal for this year is to compete at a CWL major event in America, winning stage 2 will help me coplete my goal. If I do not win stage 2, I simply try again in stage 3 if I qualify. 6.) Goals often come alongside a plan. How do you plan to achieve these goals? My goal at the moment is to qualify for Stage 2 playoffs of the National League of Italy. My plan is to practice as much as I can with the team to fix our mistakes and get better to win our upcoming matches of the league to place top 4. 7.) Rueben is also the only Maltese Call of Duty player who is competing at a high enough level to go international and chase his aspirations. With sponsors and others behind your back, what's the difference between international and local competition in terms of esports? I have competed in two major events on Call of Duty and two local events. Having placed T28 and T32 in major events and winning both local events. I think the talent here in Malta is there but the dedication is not. I am 100% sure that if I have a Maltese team in the upcoming game with the same skill level and dedication, we can place at least T20 in Europe. 8.) Black Ops 4 was announced recently; what are your plans for the new title and would you be considering creating an all Maltese team? Black Ops titles are always the best, in my opinion, I am very excited for it to be released in October. For Black Ops 4, I am interested in trying to play in a Maltese team again if I see there is potential. Playing with Maltese players is much better because communication in Call of Duty is very important to win, like all FPS titles. 9.) Our final question will act as advice for fellow Call of Duty enthusiasts on the island. How does one go international? My advice for the local Call of Duty enthusiasts is if you enjoy competing, always start locally. Create a team with your friend/s, start competing and practice as a team for the next local LAN. Competing on gamebattles.com is very useful, I started off playing 2v2 with my friend on Gamebattles. Create a Twitter account because Twitter is much more used for gaming rather than Facebook. If anyone needs any help, contact me on my Twitter account. Randu was incredibly enthusiastic and eager to carry out the interview; even while he's in the middle of a competition. Gamers.com.mt is excited for his future and he can't wait to see him continue on his international journey.